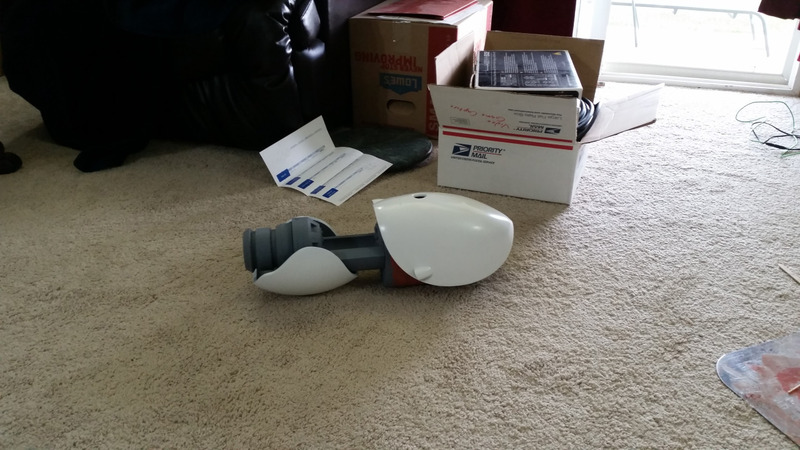 Here is an update on the Portal Gun we've been working on for a personal cosplay. BEHIND THE SCENES TIME! GO!!!! 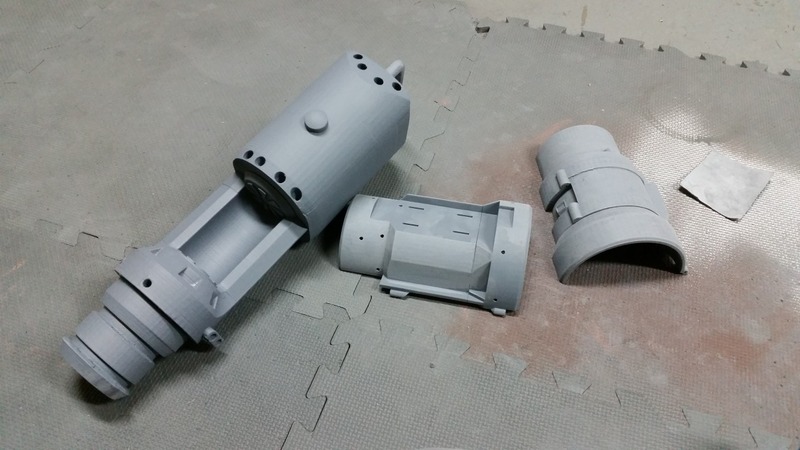 3D printed and painted the white parts of the portal gun. They turned out great. 8 separate pieces, glued together to make 2 parts. MATH! Primed and painted them this week. Shiney! 3D printed the inside black parts. Epoxy'd them all together today. Red body filler goop to smooth out any print lines. FILL THOSE LINES! YEAH! Primed them in the spray booth with automotive primer and my DevilBliss spray gun. 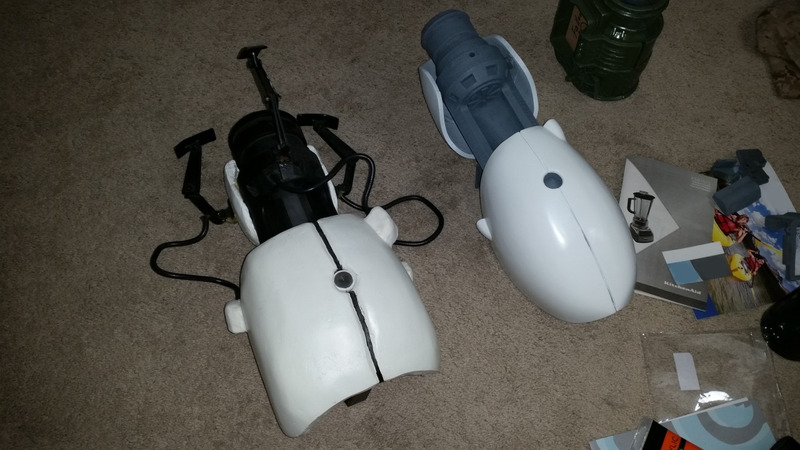 The other two parts are the Fallout 4 PipBoy that we're working on. ​Placed it all together for a spot check. Looking good! When walking around a convention all day the weight of your props is very important. What feels ok in your living room starts to rip your arms off after a day of dodging and weaving through a thick crowd at a Con. 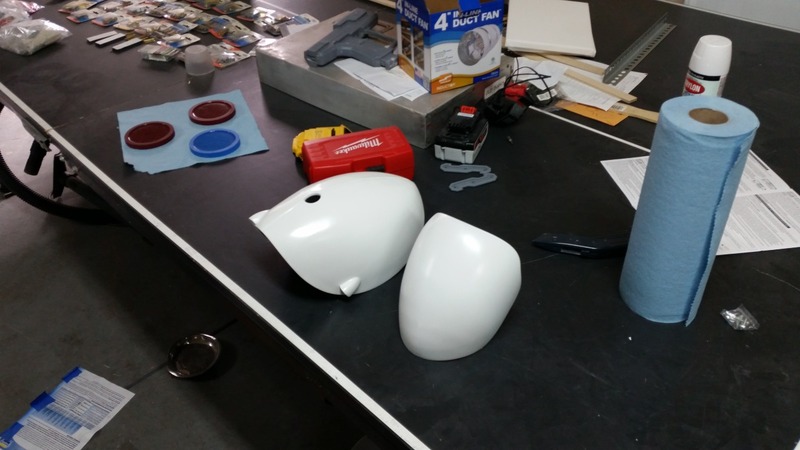 We started out using dense plastic and layers of bondo to make props. Now it's all impact resistant epoxy and happy times! 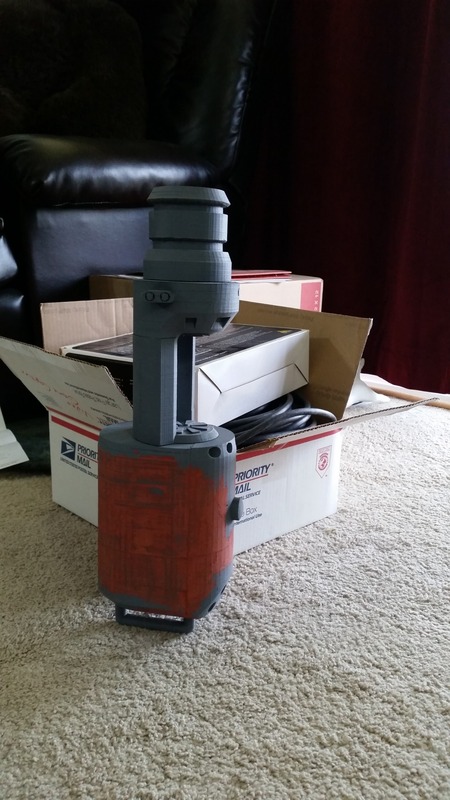 Look at our first portal gun from 2012 compared to the new 3D printed one today. What a difference! Plus it is 1/10th the weight. YEAH PROGRESS! Wiring up lights and sound effects will be coming in future progress reports. Stay tuned for more. Δ Prypzofyb ql qeb kbtpibqqbo clo zlrmlkp xka jlob! Have you guys checked out our youtube channel? If not you should definitely head over and subscribe! We'll be uploading a lot more videos showcasing the process of mold making, how we keep the 3D Printers maintained, casting our items and a whole bunch more. At the moment theres a great timelapse video of the 3D Printer printing one of our lovely spiral vases and another timelapse of the work that goes into cleaning some of the molds we use to make casts. We want to make videos that help you guys out on or answer any questions you have so be sure to leave a comment letting us know what you'd like to see as far as videos go. If you subscribe you'll get e-mails on when our new videos go up, but if you'd like even more behind the scenes footage you should become a patron over at patreon! Those are made with metal! How cool is that? We've figured out a process that allows us to infuse metal in our products. This means we'll be offering brass, aluminum and steel items. They have a great weight to them and look amazing all shined up. Products previously finished with paint will be getting moved to discount so be sure to check there if you want some awesome stuff for a lower price.